Designed from the outset to survive the rigours of everyday operation by military/law enforcement operatives, the latest variant of the Energizer® Hard Case® Tactical® Helmet Light is the epitome of versatility in an ultra-compact, ultra-lightweight design. 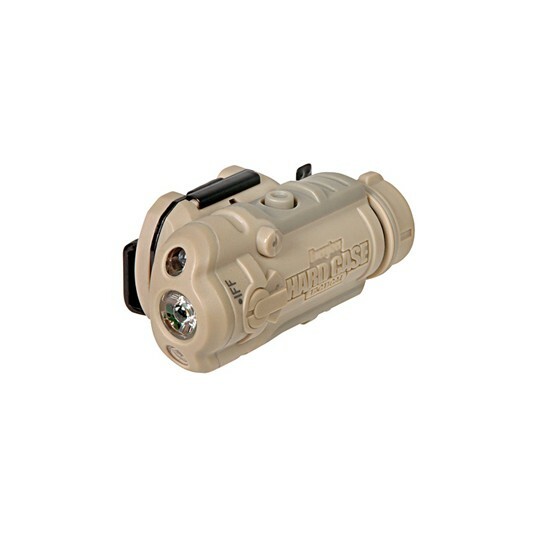 Hand-holdable as a flashlight and supplied with 5 mounts that allow attachment to almost anything in the tactical environment – helmet, head, weapon rail, mollé, belt, cap, clothing or vehicle - we do not believe you will find another light currently available that is so versatile. It utilises simple, tactile controls and a simple programming system,so that you can choose High, Medium, Low or Low, Medium, High output modes in the visible spectrum. You can also programme which secondary LED colour you want to have operational at any one time.